As the plane touched down in LA after almost 14 hours in on my flight home Friday evening, we began stretching our legs and breathing a sigh of relief as we were preparing to disembark our plane after a long sleepy flight. As soon as we turned our phones back on, it didn’t take more than a moment to receive notification that all flights to Denver were cancelled due to the pending snow storms looming intensity. After leading this year's Bali Women’s retreat, and touring around Bali’s green lush rice fields for over a week afterwards, I was looking forward to a gentle reintegration and coming home to a green and warm spring. Thankfully, Colorado’s typical spring snow storms are a sign that a lush and green spring is right around the corner. Spring is known to bring us an inner itching for something new to emerge, for our creative energy to be attuned, and for the majesty of new beginnings and possibilities to come alive. Spring is a time to expand, renew, and bloom into all that we want to manifest in our lives, in our health and especially in our experience of joy. Spring is a time of cleansing, lightening up, purifying, cleaning, and shedding the old. 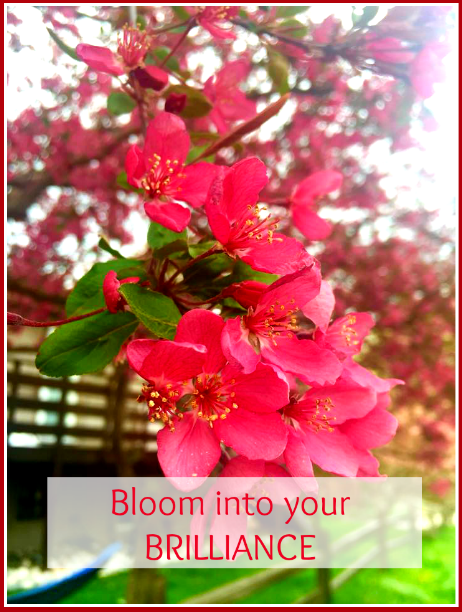 What do you seek to shed this spring to lighten up and access the inner freedom you deserve? The LIVER is the most dominant organ of the spring. The liver's role is to oversee purifying, cleansing, and preparing the body and mind for clarity and lightness from the inside out. When we tend to strengthen, and "feed" our livers wisely in the springtime, we awaken an inner life force inside that syncs us brilliantly with the season. Can you access the bliss your physical body is designed to feel? When you wake up each day are you ready to conquer your life with energy and vitality? If you feel like many people do these days, a little tired, a little sluggish try these health secrets to enhance your energy this spring. Eat with the season – As the leafy greens spring up, and the dandelions fill your yard, try finding some ways to cleanse your diet with some of natures spring gifts. Juice – Juicing blesses the body with a potent amount of nutrients that are easily absorbed. As you pulverize and strain those veggies in the juicer, you do a huge favor to your digestion. You pour liquid nutrients into your system for a fountain of amazing energy and purification. Don’t have a juicer?... don’t worry. Almost every town has a local health food store, juice bar or healthy restaurant. Make sure your juice is not full of too many sweet fruits, but instead, heavy on the veggies. If you are someone who hears your own self-critic loud and clear all day long, full of shame, blame and self sabotage…it is time to “clean” up your self-talk. Try flipping your script or practicing an internal dialogue overhaul. What are the most common thoughts that bring you down? Are they about your body, your past decisions, your bad habits? What can you do to LOVE yourself a little more despite your imperfections? Self-love does not need to diminish because we indulge here and there. Our brilliance is based in unconditional self-love. Self-love becomes a practice even amongst our imperfections. In fact, self-love is directly proportional to the amount of personal transformation possible. Noting that our imperfections MAY even be our greatest strengths, teachers, life lessons and compassion lending qualities. Self-love has NO conditions. Can you love yourself no matter what? Whenever you hear the negative thoughts try to take note, then flip them around in to a positive affirmation as often as you can to practice unconditional happiness and self-love. One of most effective ways to your energize your life is through daily self care practices aligned with the season. How is your MOJO this spring? Practices such as YOGA, BODY CARE, HERBAL SUPPORT and time in NATURE can move energy in big ways. Get yourself out of inertia this spring and up your self care every day. Enliven your spirit and up your MOJO with some juicy sef love of your own. If you can specifically wake up your hips, your pelvis, and your second chakra (located in the pelvic area) you will notice your mojo begin to soar. Take walk in the beautiful spring air, inspire yourself with your favorite yoga teacher or make yourself a new playlist to inspire your meditation. Listen to an inspiring teacher or dharma talk online. Learn to feel good in your body through movement you love. Loving and enjoying your body is one of the most important ways to show gratitude for your brilliance and vitality. Self care, and body care are the perfect medicine for a strong and healthy spring. Spring-cleaning is not a made up phenomenon. We naturally cleanse during the spring season because it feels so therapeutic to climb out of the winter hibernation into a fresh, light and clear environment. Getting rid of the old and making room for the new is an important energizer for your space and your experience this spring. But in addition to aesthetics, there are proven health reasons for steam-cleaning carpets, airing out curtains and the like noting that the benefits include preventing the spread of germs and keeping allergy symptoms at bay. Cleansing your space also helps make your environment a happier as well as a healthier place. Try rearranging or reorganize your sacred space. Elizebeth Gilbert (author of BIG MAGIC) recommends purifying your space to stimulate your creativity. You are off to a great start for some revitalization and renewal this year. Spring is always an exciting time to start anew, plant our seeds of intention and watch, tend, and nurture them as the season unfolds.